The name only calls one person to mind making it obvious that she wasn’t merely the wife of a writer. Therese Anne Fowler cuts it down even farther to just “Z” for her recent novel about Zelda Fitzgerald. And Lee Smith writes about Zelda, not her husband, in her recent book Guests on Earth. I admit I don’t get wrapped up much in the biography of writers, which is why I had to look up whether Hemingway was married – and he was, four times, three of the women were writers. Steinbeck was also married, three times. Faulkner and his wife Estelle were known to sit on the porch of Rowan Oak drinking whiskey together, but outside of that I’m not sure much aura surrounds her. Thomas Wolfe never married, but there is a bit of aura around his long time affair with Aline Bernstein, a married woman eighteen years his senior – and that deserves its own blog. 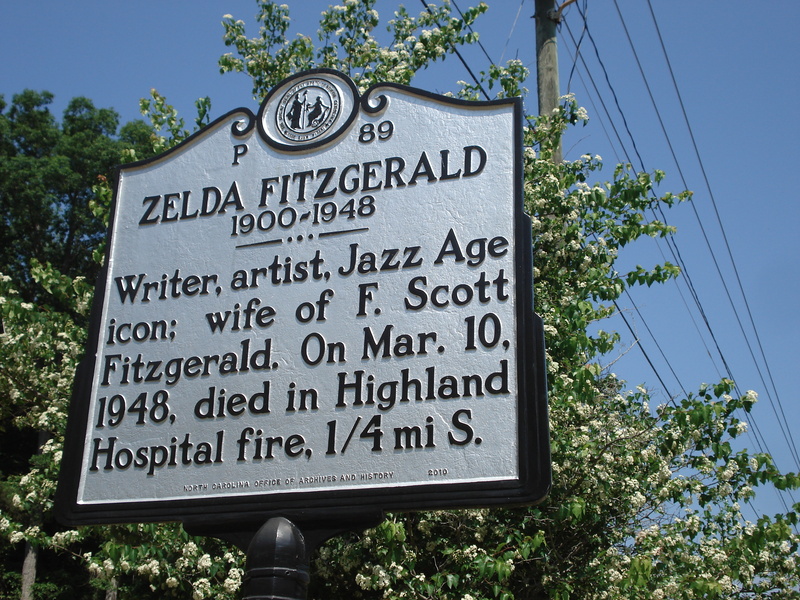 But sixty-six years after her death in Asheville the world is still fascinated by Zelda. The Fitzgerald’s had a tumultuous relationship, but it is clear through their continued contact and constant mining of each other’s pain that they had passion. They were obsessed with each other and with the feelings they brought out of each other, loving each other to the point of self-destruction. Obviously these things don’t work out – but it is the quintessential live hard and die young, burning at both ends, story. F. Scott Fitzgerald had a strong start, having great literary success in the 1920s, traveling the world and being famous for his partying. Then he seemed to blow it. Zelda, on the other hand, didn’t seem to give up, but continued trying to make a name and a career for herself at a time when women had just gotten the right to vote. She was searching for peace through art and writing and dance and drinking and psychiatry and God. Most people can relate to that. 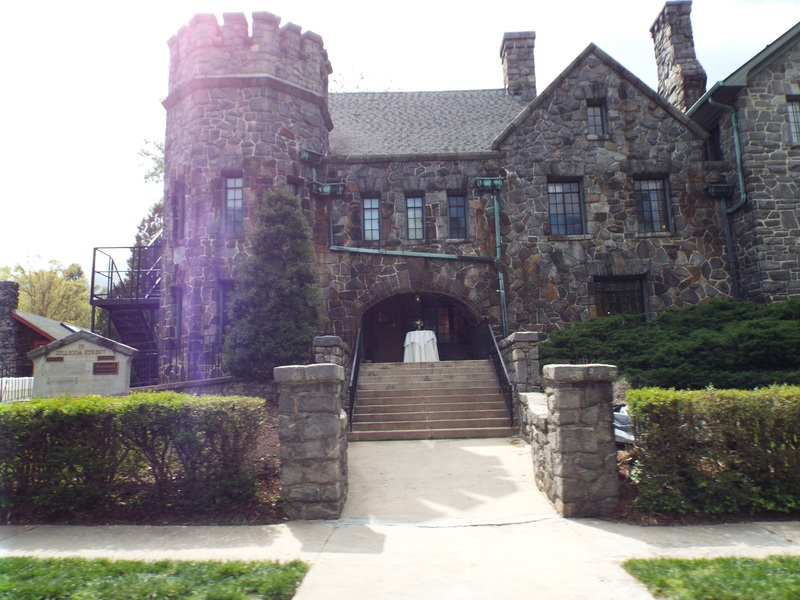 It also seems to be what Asheville was about, and why there were and are so many places to search for spiritual and mental peace here, like Highland Hospital where Zelda had checked herself in multiple times throughout the years, starting in 1936. Dr. Carroll’s program of exercise, diet, and occupational therapy seemed to work for Zelda, who was released from the hospital in 1940. In that same year her husband died, and her daughter married, but Zelda missed both events, and by 1943 she was back at Highland Hospital, where she checked in and out until March 10th 1948, when a fire broke out in the Central Building of the hospital, killing Zelda and eight other patients. Their daughter Scottie was quoted as saying that if people aren’t crazy they got themselves out of crazy situations. She, unlike a lot of people in the public, didn’t blame Zelda for F. Scott’s drinking, just as she didn’t think his drinking led to Zelda’s mental illness. Maybe they were just two broken souls who found each other, sparked, burned, then extinguished. But they left behind more than just a trail of ashes – well into the next century the gossip still swirls around the daring couple and their great and terrible love story. Homewood. 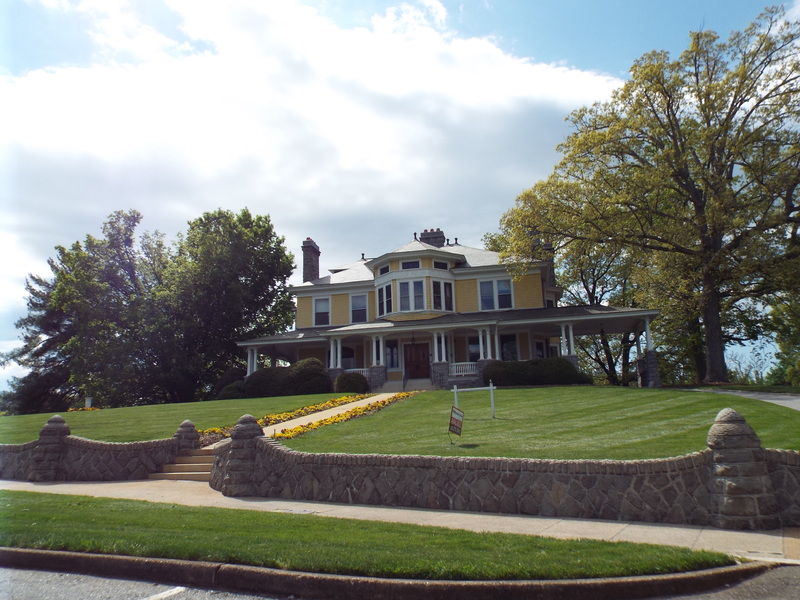 Home of Dr. Carroll and his wife Grace Potter Carroll. Amy C. Manikowski is a writer, bookseller, trail-diverger, history buff, and pitbull lover. She graduated from Chatham University with a MFA a while ago, and after wandering aimlessly settled in Asheville NC. 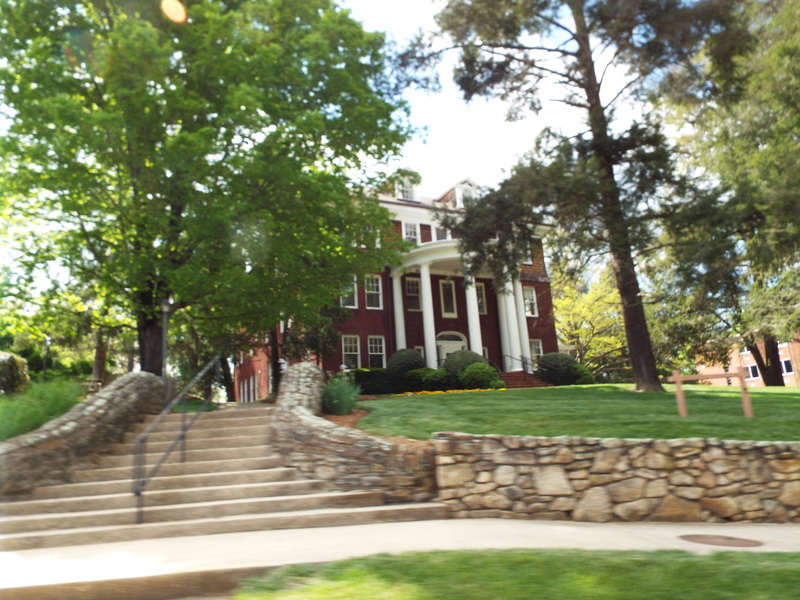 Historic Inns – Walking tour of Asheville! This overlooked historic site is by far the most inspiring!